With rising fuel prices and growing environmental concerns, a visible spike has been observed in the demand of golf cars. 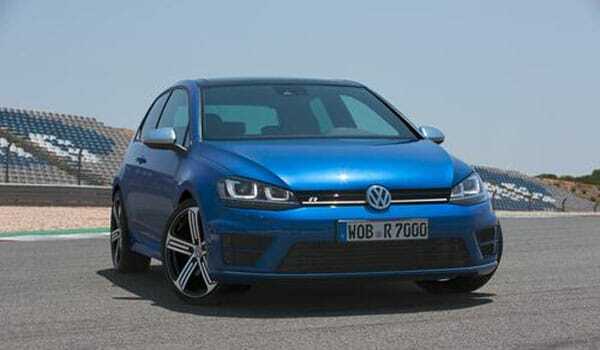 The frontrunner in this race remains the Volkswagen, as during the first half of this year they introduced models like Golf GTI, Golf GTD, Golf Variant, and Golf TDI BlueMotion. However, the pinnacle of their technology remains the latest Golf R.
This is an ultimate compact car, powered by a 296-horsepower TSI engine that can reach to a daunting 62mph in just 5.3 seconds on manual transmission. The engine also happens to be highly fuel efficient. The car itself is a testament of superior German engineering, and features like new sport suspension, stability control system and progressive variable-ratio steering system guarantee an unprecedented driving experience. Golf R comes with additional packages for racing experience exclusively, such as the optional DCC dynamic chassis control system that can be deactivated while racing on the tracks. The permanent all drive wheel system ensures that the turbo charged power is transferred to the road, and with the dual clutch automatic transmission this little beast reaches to 62 mph milestone in just 4.99 seconds. The extra power and turbo charged engine have been articulated in a way that the car remains as one of the most fuel efficient and eco-friendly vehicles in the market. Manual Golf R’s fuel consumption has been shaved down from 28 to 33 mpg, and similarly the CO2 emission has also been improved from 199 to 165 g/km. The looks have been phenomenally upgraded from the previous models 18-inch alloy wheels and side skirts uplifted the overall appearance of this golf car, while the sleek bumpers combined with Bi-Xenon headlights having newly designed LED daytime running lights give this car a unique identity of its own. Another reason behind the unusual following is the features like fabric-Alcantara material mix, ambient lighting, automatic climate control and leather trimmed three-spoke sport steering wheel. Amongst many other upgrades, one particular feature that the manufacturers can boast of is the braking system of Volkswagen R. The rear has a 12.2 by 0.9 inches thick discs, while at the front it has a 13.4 by 1.2 inches thick discs. Available in “Tornado Red”, “Pure White”, “Lapis Blue Metallic”, “Reflex Silver Metallic”, “Limestone Grey Metallic”, “Night Blue Metallic”, “Deep Black Pearl Effect” and “Oryx White Mother of Pearl Effect”, Volkswagen Golf R will be launched in the fourth quarter of year 2013, and will be available in two and four doors variants.